Airline which refused to allow Israeli woman to purchase ticket at Heathrow pays substantial damages for discrimination. 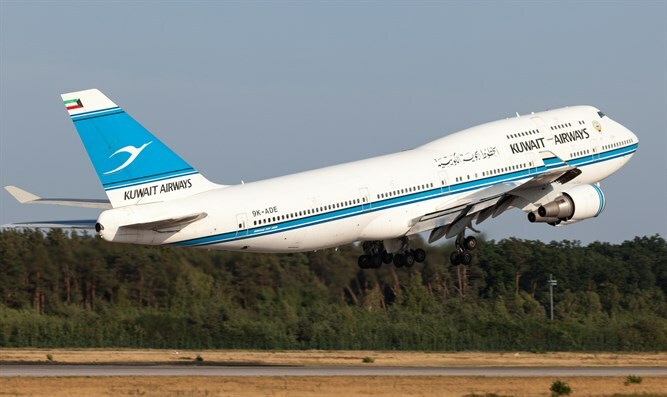 Kuwait Airways agreed to compensate Israeli citizen Mandy Blumenthal after she was barred from boarding a flight at Heathrow Airport in London over her nationality. Blumenthal sued Kuwait Airways with the help of UK Lawyers for Israel after she was not allowed to buy a return ticket to Bangkok at a Kuwait Airways desk last November. At first the sales representatives agreed to sell her a ticket, but the moment they saw that she was carrying an Israeli passport, they changed their taste. The sales clerk explained repeatedly: "Israeli passport holders are not permitted to travel on Kuwait Airways." According to the British-based Jewish News, the airline has agreed to pay a substantial amount in damages plus cost to Blumenthal.